This Exotic Fusion Rifle is one-of-a-kind. 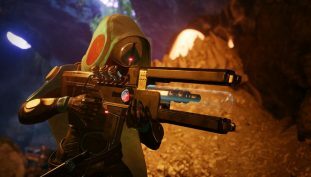 It’s the only Kinetic Linear Fusion rifle in Destiny 2 — and it’s available during the special Revelry Event. Here’s how to get it. 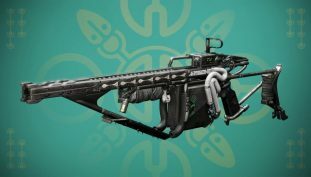 Grab the Exotic Bow in Destiny 2: Black Armory — here’s what you’ll have to farm to get it. 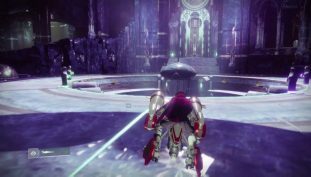 There’s a hidden cutscene you can now access in Destiny 2: Forsaken. You’ll need to complete a specific bounty, and go to a certain location to trigger it. Here’s how it works. New seasons, weapons and more are heading your way! Here’s how to complete the Journal of the Reef Cryptarch exotic quest. 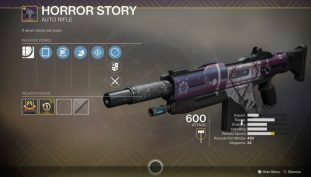 It’s your spooky duty this Halloween season to unlock the Horror Story Exotic — only available during the Festival of the Lost. Grab it quick for an easy 600 PL weapon! 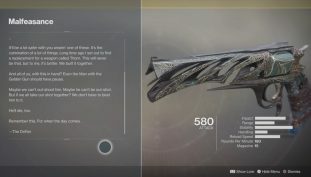 You can now earn the Malfeasance Hand Cannon Exotic in random Gambit sessions. Here’s what you need to look out for to find this secret quest. 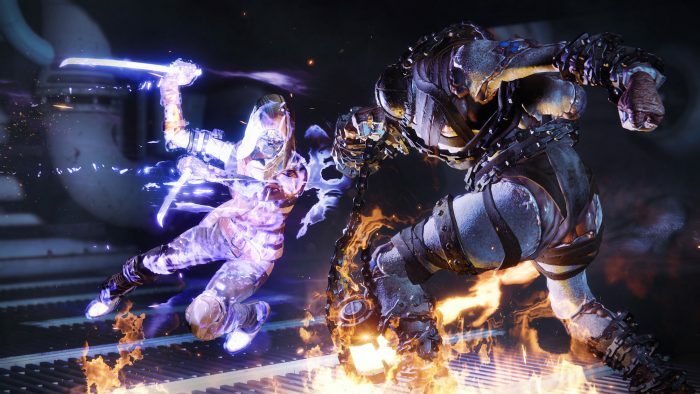 Skip the ‘Last Wish’ raid and unlock the third DLC-exclusive Forsaken subclass with this alternate method, recently added to Destiny 2. 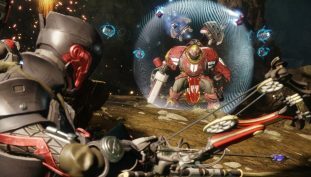 Are you jumping back into Destiny 2? 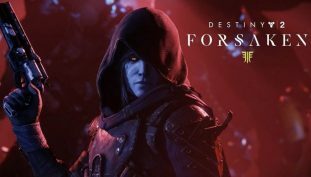 Skip the campaign with the return of XP Boosts in Destiny 2: Forsaken. 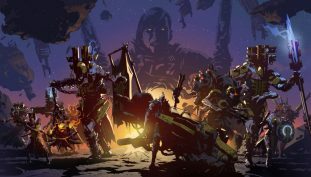 Everyone that purchases the huge Forsaken expansion can jumpstart a character for free — here’s how it works. 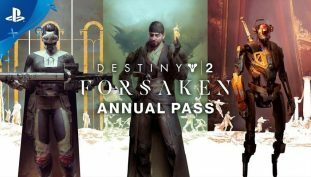 Want to know more about the Destiny 2: Forsaken DLC? 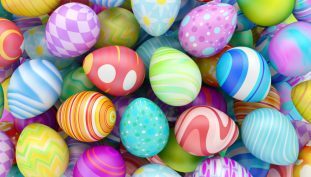 Here’s everything you need. 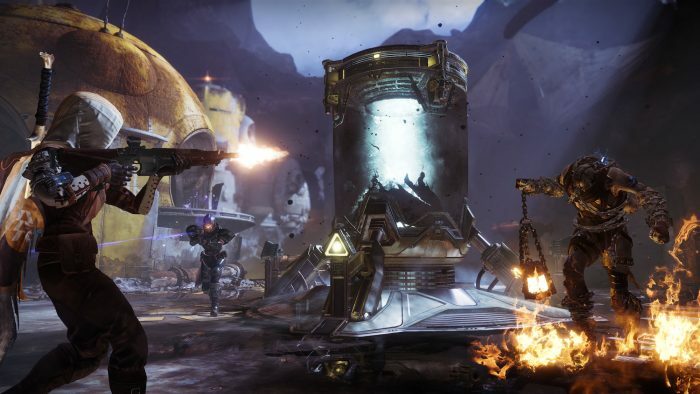 We explain what’s new, what’s changing, and how exactly the new PVP / PVE hybrid mode Gambit works. 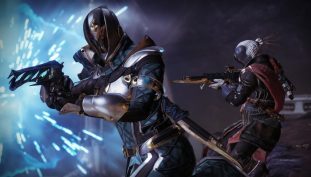 Remember, PS Plus members can download Destiny 2 right now for free!